Good Monday Morning to all. I woke up definitely feeling like I did great last week. I feel and I think I look a little smaller. I am in total control of my food, and I have been keeping up on my workouts, classes, and my speed walking. My stomach definitely is getting flatter. I weigh in today after work, and I usually do not give in to scale games. 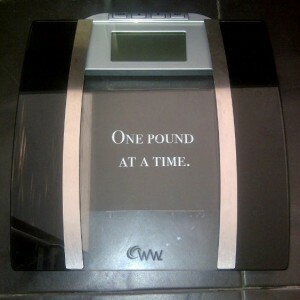 I get on the scale once a week at Weight Watchers and I get on with it. This morning I was impatient, and if you ask my husband he will tell you impatience is one of my flaws. I broke down and got on the scale at home, twice. 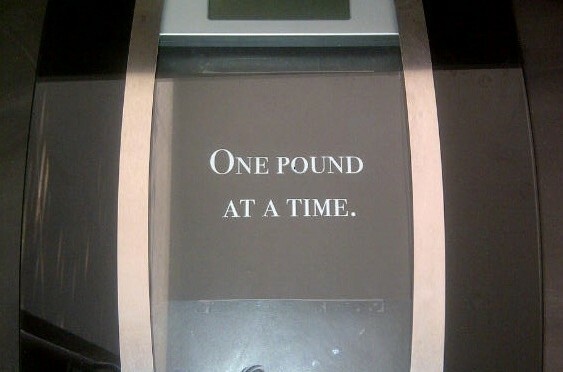 Now when I get on the scale at Weight Watchers later in the afternoon the result could be very different outcome. I am not going to do that anymore, it is just messing with my head and I do not have the opportunity to weigh in at Weight Watchers without clothes. Well, last week I took my top off, hey there was no one there and I asked first. Scale games, it is just another form of weight obsession and I am trying to curtail all of those old self destructing habits. So Monday weigh in at Weight Watchers, I will post my new weight Tuesday morning. I am going to just remind myself that I am doing everything right, and I am on my path to my first ten pound loss and my first charity. I am getting fit with my workouts too. Rome was not built in a day and I did not gain this weight overnight. I will reach deep inside myself and find the patience to go the distance without driving myself crazy with scale games. This entry was posted in Uncategorized and tagged Losing weight, Scale games, weigh in, weight watchers on August 5, 2013 by mychangeforaten.